The Indian Law Institute [ILI] – set up on 27th December, 1956 is an International Centre for advanced socio-legal research and has done significant work in the field of legal research, education and training. 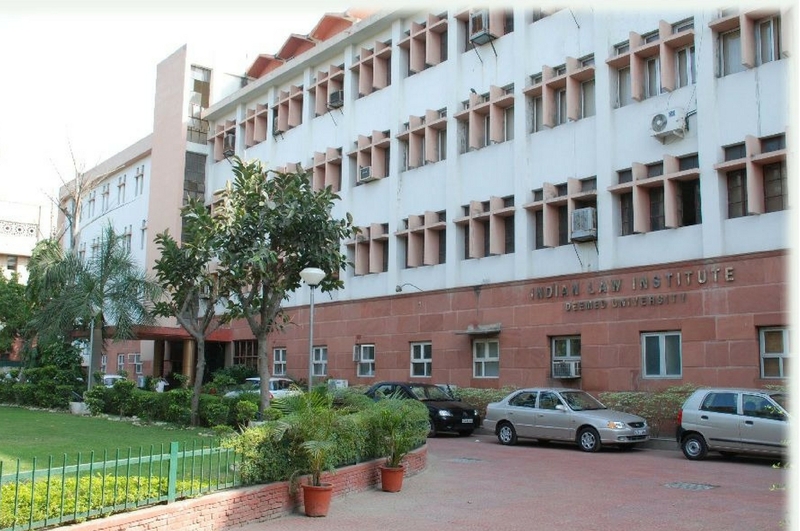 Indian Law Institute is situated at Bhagwan Das Road, New Delhi – 110001, India. The objectives of the Institute as laid down in its Memorandum of Association are to cultivate the science of law, to promote advanced studies and research in law so as to meet the social, economic and other needs of the Indian people. It was formally inaugurated by the President of India, Dr. Rajendra Prasad on December 12, 1957. The Institute is an autonomous body registered under the Societies Registration Act, 1860, the Indian Law Institute has the requisite independence and academic freedom to carry out its objectives. The membership of the Institute is now nearly three thousand representing the persons interested in the study and advancement of law. A variety of Reference and Information Services are provided at the Reference Desk which is located on the entrance of the main hall of the Library. The staff at Reference desk assists readers, students in the use of the Library’s Online Catalogue, indexes and other reference sources whether in print or electronic format.The Institute’s Library is one of the best libraries in the country. It has more than 75000 titles. It subscribes to 270 current legal periodicals. JILI is one of the leading law journal. ASIL contains surveys written by academicians and practitioners.